Colline de l’hirondelle (Swallow Hill) is where we live and make our wine on a hill surrounded by vineyards just outside the small French village of Douzens. We chose the literal path of naming the winery for what was actually there: a hill (“Colline” in French) overlooking vineyards actually called “The Swallow” on the town land registry. We figured that at least people in our village of 800 would be able to find us. The fact that the name was completely unpronounceable in English, my native language, didn’t occur to me at the time. When I arrived in France in 2001, I was fresh out of university in California, and thinking “year abroad, open horizons, cultural enrichment,” and then back home. 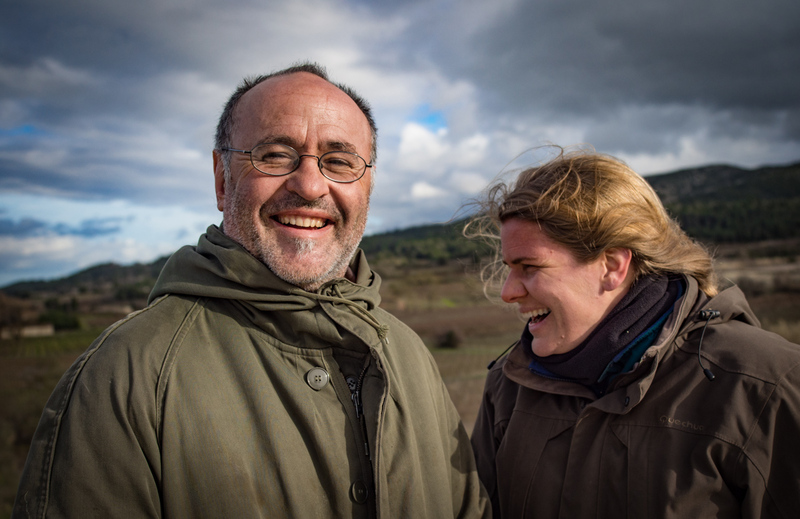 I almost immediately met Didier at Cammas, a massive stone farm, artist’s residence, collective, beautiful, romantic, I could go on… There were dinners at long tables with lots of people from all over eating lots of delicious French food.. and so I stayed – who wouldn’t? Didier, the other half of this partnership, was born and raised in Douzens, population 800. He is the son of wine growers, like almost everyone else in the village. His roots in the immediate area of Douzens can surely be traced back to the Middle Ages. In 2009 when Didier had finished converting part of an old barn into a winery we did what good French children do and moved back to the village. Now I’m known in Didier’s hometown as “the daughter-in-law Ferrier” or sometimes just “l’Americaine,” which I’m starting to realize are terms of endearment. Where to find our wines. (in France and abroad) Right here!